Sharing is caring. I've heard it for half of my life because it was the motto my clan adopted. 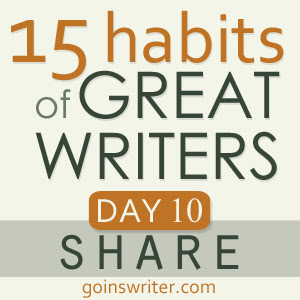 When I read Day 10 of the Great Writers series the familiar maxim was the bubble that formed above my head. My list of blogs has been pruned to a select few. With the constant juggling of the important things in my life, weeks would pass before I got to my Google reader to catch up on reading blogs. I was overwhelmed with the material I had to read. So I became selective in my choice of blogs. I suppose it's also my fault that I compartmentalize and manage two blogs: personal and photography. I can't choose one blog or writer to share because I love the ones I read so I decided to share four. They are my friends who live and breathe writing and share the love for the written word as feverishly as I do. Lina Fox. Her blog, Chicken Scratch, is a testament to her impeccable skills as a raconteur. She's my friend whom I believe has an innate gift for writing. It is her gift and should be shared. Derrick Engoy. You can read his blog on his Web-Site, Derrick Engoy. He's an author, speaker, and artist who has self-published a book. He's also a Creative Arts pastor and a phenomenal creator of cakes! I am always in awe of him. Heidi G. Swift. I was ecstatic to learn that Heidi also maintained a blog when I first met her. You can read her musings at Fireworks Through My Journey. 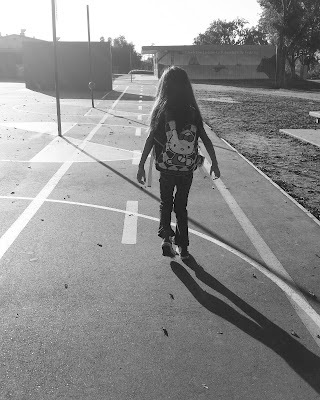 Her heart bleeds through her entries and she takes you along the journey she calls Life. Michele Baron. She's my lifelong friend who has a tough job. She's a stage mom to her breathtakingly gorgeous daughter, K. Read about what life is like as a stage mom who is fiercely devoted to her family and friends. I also admire her taste in music and she likes to brighten my day with a video or two on her blog: No Melodramama. I am the champion of champions when sharing the work of others. I absolutely blossom in doing so because I like to encourage those whose potential shouldn't be wasted. I'm happy to have this opportunity to put my writer friends on blast! I hope you enjoy them as much as I do.